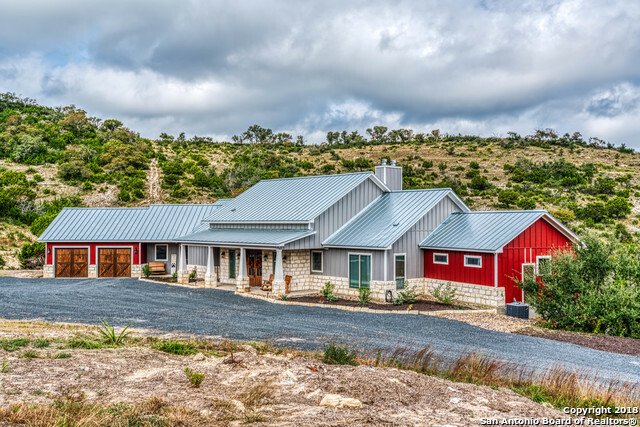 All The Ranches at Vista Real homes currently listed for sale in Boerne as of 04/18/2019 are shown below. You can change the search criteria at any time by pressing the 'Change Search' button below. "Rarely do we find a private, gated 35 acre estate that features a 2018 modern farmhouse, huge drive-in workshop, additional quarters (w/ laundry!) & quick I10 access. Subtle local nods include Texas-sourced/stamped brick details & reclaimed 1800s Comfort barn wood. Multiple outdoor living areas capitalize on sweeping Hill Country views. Infinity-edge pool w/ spa & swim-up bar area overlooks wet weather creek. Two generous secondary bedrooms w/ en-suites + study in main house. Dog-washing station"